If only it were that easy, right? We know it's virtually impossible to completely eradicate stress from your life; however, there are things you can do to reduce stress and lessen its impact. Try taking up yoga, meditation, and of course, get plenty of rest each night. Not only does tea help keep you hydrated, which in turn can help with blood flow and crisis prevention, but tea also has other known benefits. Tea -- especially green tea -- contains antioxidants, which assist in the prevention of cell damage. Just be sure not to load your tea with too much sugar, as that might inhibit the tea's naturally healthy effects. If you do prefer a sweetener to your tea, honey would be a better option. Choosing to focus your energies on positive thinking, rather than worst-case scenarios all the time, can help you face each day with the hope and fortitude you need to surmount any challenge that may arise. Having an overall positive outlook on life can also help you cope with stress well. Check out this site for even more tips on increasing positivity in your life. For anyone, eating well is an important part of maintaining a healthy lifestyle. Even more importantly for those living with sickle cell disease, eating well can be the first defense against triggering a painful crisis. Load up your diet with foods that are rich in iron, copper, and vitamin B12 to ensure that your body is receiving the nutrients it needs to function at its best. 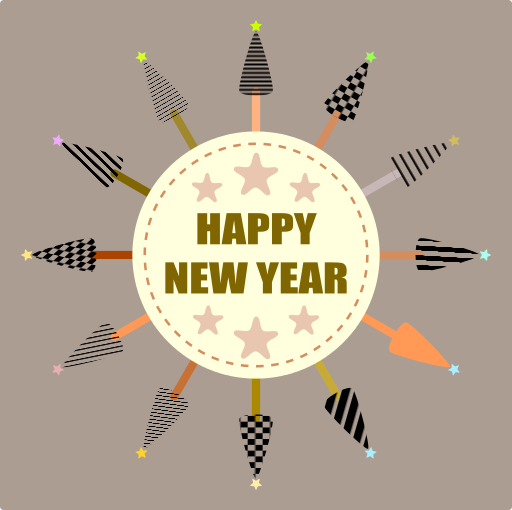 What are your resolutions for 2015? Share them in the comments below! A few months ago, we explored the concept of art therapy and how it can help sickle cell patients navigate their emotions and cope with their pains and stress. But did you also know that music therapy can be just as beneficial? For those sickle cell warriors (of all ages) who are looking for another way to express what they're feeling and to build effective coping strategies, music therapy programs -- like the one at Mount Sinai Beth Israel's The Louis Armstrong Center for Music & Medicine in New York City -- could be the perfect fit. Not only can music be used to educate patients on their treatment and help them retain the information they've learned, but it can has also been shown to decrease stress and the perception of pain. In a presentation at this year's Sickle Cell Disease Association of America convention, speakers Samuel Rodgers-Melnick, MT-BC and Tara Pell, MA, MT-BC from University Hospitals in Cleveland, Ohio, defined music therapy as "the clinical and evidence-based use of music interventions to accomplish individualized non-musical goals with a therapeutic relationship by a credentialed professional who has completed an approved music therapy program." The goals of music therapy, according to Rodgers-Melnick and Pell, are to reduce the perception of pain, reduce stress, foster positive patient-staff interaction, and improve quality of life. 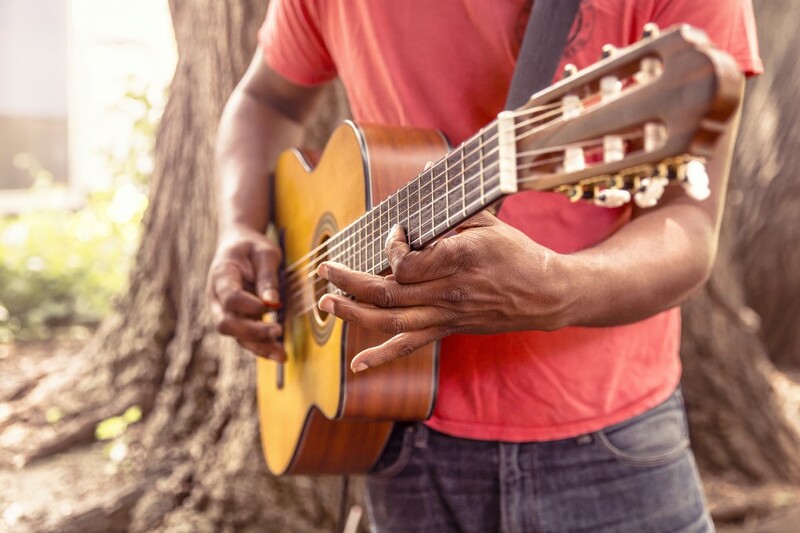 To do this, music therapy sessions may include activities, such as music-assisted relaxation, music making, guided visualizations, songwriting, lyric analysis, meditation, improvisation, and passive listening, among other techniques. In conjunction with a sickle cell patient's medical treatment plan, music therapy can provide a much-needed release of creative expression, a lessening of physical pain, and with that a stronger quality of life, which is priceless. ICYMI, a new movie premiered just last month -- one that's devoted to raising awareness and supporting all sickle cell warriors and their families. The motion picture, Dazzling Mirage, which was was brought to the big screen by internationally renown Nigerian filmmaker Tunde Kelani, opened to rave reviews at the Muson Center in Lagos on November 7, 2014. 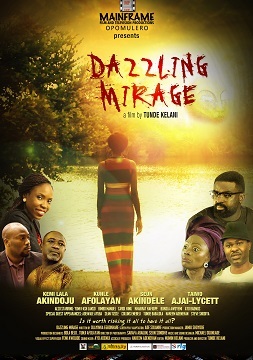 An adaptation of Olayinka Abimbola Egbokhare's eponymous novel, Dazzling Mirage tells the story of Funmiwo, a "talented, young sickle-cell sufferer who overcomes social stigma and prejudice to achieve her dreams." Throughout the film, Funmiwo is faced with many challenges dealing with romantic relationships, her career, and her pregnancy. While the movie has not been released in American theaters, keep a look out for it in the next few months, as you may be able to rent it through Netflix and/or buy it online. However you can, show support for this movie, so that more like this will be made, furthering the cause of sickle cell awareness. You can also use this as a motivator to start your own campaigns of awareness: If you don't see things like this being made by American media outlets, don't wait for someone else to maybe get involved, create your own content and share it with the world. Last week, for the first installment of our two-part mini blog series on sickle cell trait, we focused on the risk of kidney disease and renal medullary carcinoma. This week, we'll be exploring the issue of SCT and the risks of extreme exertion, especially for athletes and military recruits. According to the Sickle Cell Disease Association of America (SCDAA), "Although uncommon, persons who are carriers for sickle cell may develop specific rare symptoms that may be related to sickle cell trait." Besides kidney disease, other symptoms -- such as localized sickling, severe hypoxemia [low oxygen in the blood], and muscle break down, among others -- may be related to extreme exertion. Conditions such as heat, dehydration, altitude, and asthma can exacerbate these symptoms. When an athlete or military recruit with SCT is putting out full exertion during practices and trainings, the sickle hemoglobin in their blood can cause cells to start sickling, when they normally would not. When cells sickle, they can block blood vessels, which can lead to collapse and possibly death -- and this can all happen within a matter of two to three minutes. One morning in 2006, Farron was taking part in his Army physical fitness test. He'd already completed the push ups and sit ups, and was on the track finishing up his two-mile run. As he was approaching the end, he decided to run hard for that last stretch. "In the military, we're trained to sprint that last lap," he says. "I put my hands up over my head to get air in my lungs [and then] I started to notice it started getting dark." Everything around him started spinning, so he was rushed to the hospital where he was diagnosed with dehydration and kidney failure. He was released that day, but had to return to the hospital that night, as his condition did not improve. During that visit, he was told he had dehydration, vertigo, and rhabdomyolysis and was kept for four days. After he was released, doctors advised him to exercise at his own pace, which worked well for him. But, in 2009, once he turned in his medical paperwork to the Army, they advised him to stop exercising completely. Soon after, on New Year's Day of 2010, Farron's entire body became inflamed. He went to the hospital and was told that he has arthritis, as well. It wasn't until he was sharing his experiences with a fellow soldier that he realized he might have sickle cell trait, which could be the cause of his recent medical issues. He got retested and SCT was confirmed. That's when he started piecing more incidences together. Since he was 5 years old, Farron's had severe arm pain, but as a child, the doctor said that pain was merely growing pains. Also, when he first entered the Army, there would be times when he would experience swelling, which the doctor contributed to tendonitis. As a result of his recurring medical issues (and subsequent bout with depression), Farron was medically discharged in 2013. It may seem a simple fix to require SCT screening for all athletes and military recruits (which does in fact happen for Division I college athletes and Marine Corps, Navy, and Air Force recruits); however, there's a continuing debate that such screening requirements may also foster discrimination. 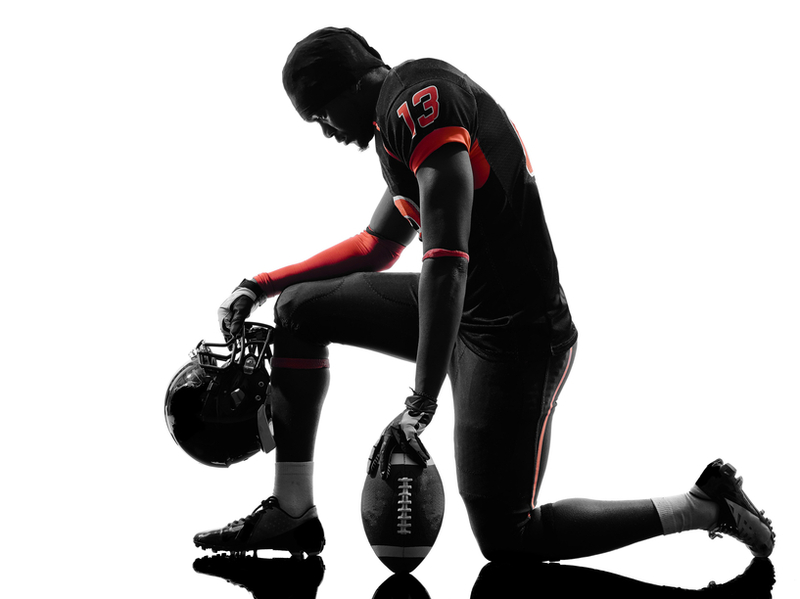 "Under normal conditions, athletes with sickle cell trait can participate with no restrictions, so by singling them out instead of enforcing rules on practice conditions for all athletes, the NCAA may be discriminating against them," reports Science Life article, "The Unintended Consequences of the NCAA Sickle Cell Screening Policy." Perhaps, though, if the Army had mandatory screenings in place, Farron would not have had the experiences he had. His opinion of mandated screenings? "What is the value of life? Ask those parents who've lost [a child to SCT exertion] do they want their child back or millions of dollars from the college?" Are you a carrier and an athlete or member of the military? Have you experienced any complications? Share your story in the comments below!